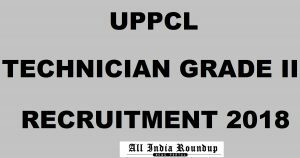 Uttar Pradesh Power Corporation Limited has released notification for the recruitment of candidates as Technicians Grade II. There are about 2842 vacant positions for which the notification is released. Candidates who are looking for the jobs in UP can check the eligibility criteria and other required details from the article. Aspirants can apply online from the direct link provided below. Uttar Pradesh Power Corporation Limited (UPPCL) is the company responsible for electricity transmission and distribution within the Indian state of Uttar Pradesh. UPPCL conducts the recruitment examinations for filling up the vacancies in various departments. This year it has released the notification for filling up Technician grade II posts. Candidates who are interested should go through the official notification and find the eligibility criteria, educational qualification, age limit, application fee, selection process, grade pay etc. If candidates meet the eligibility criteria they can proceed further to apply online. Candidates should check the instructions mentioned in the notification and fill the application form. Proceed to pay the application fee through all the sources available. Candidates should have to pass 10th with Science and Mathematics as their subjects from a recognized board or institute. Candidates should also possess CCC certificate through DOEACC Society. Candidates who are applying this post should to possess minimum 18 years and a maximum of 40 years. Other age relaxation details can be seen in the official notification. Candidates who belong to the general category should have to pay Rs. 900/-, OBC candidates should pay Rs. 900/- and SC/ST candidates should pay Rs. 700/-. Candidates will be paid Rs. 5,200/- to Rs. 20,200/- along with a grade pay of Rs. 2,600 per month. 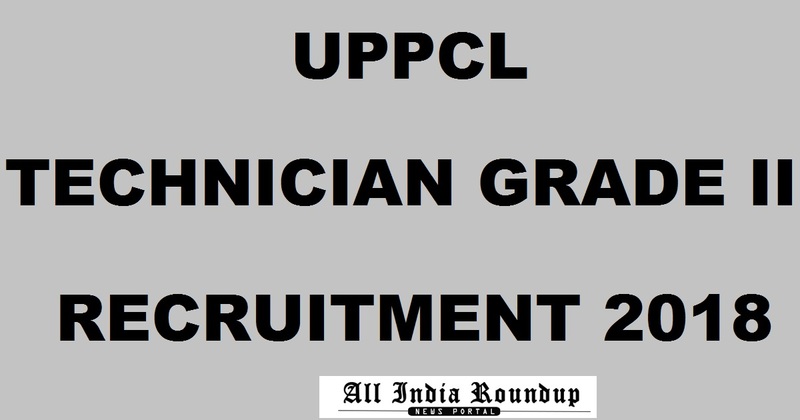 Stay tuned to this webpage for more details regarding the UPPCL Technician Grade II Recruitment 2018. Press CTRL+D to bookmark this page for more exciting updates from this page.